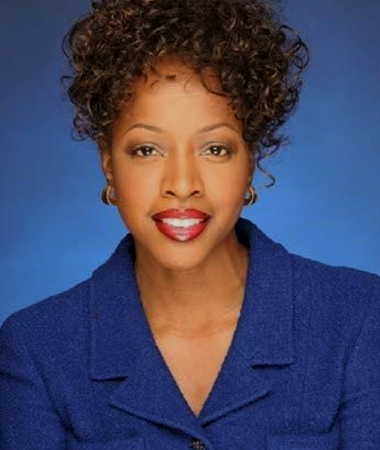 Gina F. Adams is the Senior Vice President for Government Affairs at FedEx Corporation. She is responsible for shaping and promoting the interests of all FedEx Corporation operating companies, including FedEx Express, FedEx Ground and FedEx Freight in the political and policy arenas. As a lawyer and the company’s top lobbyist, she works with Administration officials, members of Congress, the diplomatic community and industry associations on domestic and international commerce and transportation issues. Ms. Adams also oversees one of the largest corporate PACs in the United States for her company, which serves more than 220 countries and territories. She joined FedEx in 1992 as Managing Attorney of the International Regulatory Affairs Office and has held a number of positions since that time. She was promoted to her current position in 2001 and is a three-time recipient of the FedEx Five Star Award, the company’s highest employee achievement award. After receiving a BS (School of Public Affairs) from American University, a JD from Howard University School of Law and an LL.M. in International and Comparative Law from Georgetown University Law Center, Ms. Adams began her career as a lawyer in the Attorney Honors Program at the U.S. Department of Transportation. Ms. Adams is extremely active in the Washington, D.C. community sits on a number of boards, including American University Board of Governors (Chair, Audit Committee), Howard University School of Law Board of Visitors; Alvin Ailey American Dance Theater (Vice Chair), Town Hall Education Arts & Recreational Campus (THEARC), National Museum of Women in the Arts (First Vice Chair), and the Economic Club of Washington (Chair, Education Committee), and is a past chair of the DC Chamber of Commerce. In 2016, she received several recognitions including, Howard University’s “Alumni Award for Distinguished Postgraduate Achievement in the field of Business”; the “Unsung Corporate Community Uplift Award” from the Greater Washington Urban League; the “Triumphant Woman of the Year” from the National Action Network and was selected to Elle Magazine’s top 10 women in DC Power List. In 2017, she received the ICON award and an Honorary Doctorate of Laws from Trinity University, Washington D.C. In 2018, she was inducted into the DC Hall of Fame and honored by the American Association of Airport Executive Foundation with a permanently-endowed scholarship in her name for female students enrolled in accredited aviation programs.